"We are ready to write a new chapter in ServiceMaster’s story"
MEMPHIS, Tenn.--(BUSINESS WIRE)--ServiceMaster Global Holdings, Inc. (NYSE: SERV), a leading provider of residential and commercial pest control, restoration and cleaning services, announced that CEO Nik Varty and other senior executives will update the investment community on key elements of the company’s refreshed growth strategy at ServiceMaster’s 2018 investor day meeting beginning at approximately 12:30 p.m. ET today. “We are ready to write a new chapter in ServiceMaster’s story,” said Chief Executive Officer Nik Varty. “In 2018, we delivered on a major commitment to our investors through the spin-off of American Home Shield, and I am excited that the transformation of the Terminix business is on-track and already driving significantly improved organic growth. ServiceMaster is dedicated to creating cleaner, healthier, safer environments for our customers wherever they are – at home, at work, or at play – and the initiatives we took this year are improving the customer experience and increasing Net Promoter Scores. 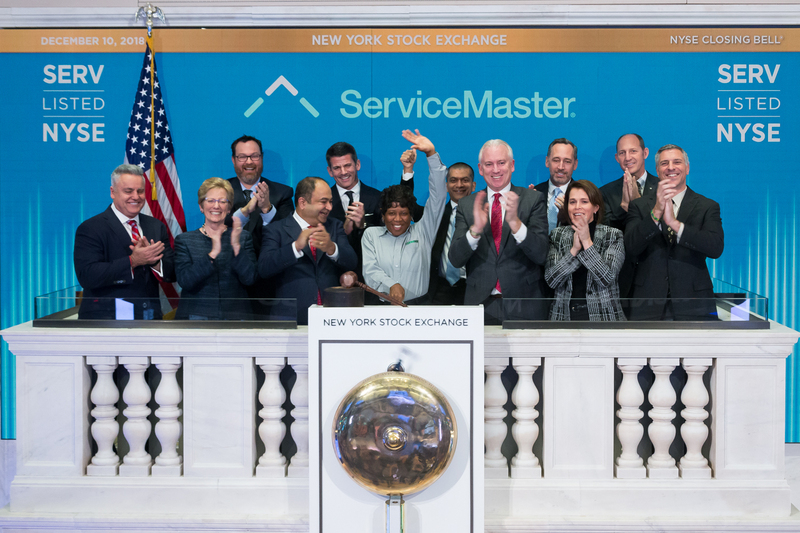 In 2019, the company will continue to strengthen the ServiceMaster core by further improving fundamentals, while unlocking several new avenues for adjacent profitable growth. This work includes continuing the Terminix transformation by expanding its capabilities and presence in commercial and national accounts businesses and improving its termite business, as well as capitalizing on significant growth opportunities in the highly-complementary ServiceMaster Brands portfolio. ServiceMaster also announced today that it will acquire Assured Environments, a leading commercial pest control company based in New York City. The company is best known for providing effective pest control services to property management, hospitality, retail, education and food processing facilities and its leadership in urban pest management. Assured provides pest control services to many of New York’s best-known buildings, including Rockefeller Center, Madison Square Garden, and the 9/11 Memorial Museum. The company reaffirmed its full-year 2018 outlook previously provided in its third-quarter 2018 earnings release on Nov. 6, 2018. The company continues to expect full-year 2018 revenue to range between $1.885 and $1.9 billion and Adjusted EBITDA to range between $425 and $435 million with organic revenue growth at the Terminix segment between 1 and 2 percent for the full-year. 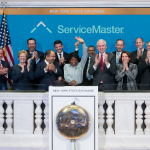 The business unit will be renamed ServiceMaster Brands to better align with the company’s strategy to create value by leveraging size and scale in the important restoration and cleaning categories, expanding into adjacent specialty services, exploring selective ownership of specific operations, and growing its commercial national accounts management. ServiceMaster will host its Investor Day Presentation today beginning at 12:30 p.m. Eastern Time (9:30 a.m. Pacific Time) to discuss its strategies for 2019 and beyond. The presentation will be webcast and a replay will be available beginning on Wednesday, Dec. 12 for at least 90 days. More information, including the slides for the event, can be found at investors.servicemaster.com/events-calendar. ServiceMaster Global Holdings, Inc. is a leading provider of termite and pest control, cleaning and restoration services in both the residential and commercial markets, operating through an extensive service network of more than 8,000 company-owned locations and franchise and license agreements. The company’s portfolio of well-recognized brands includes AmeriSpec (home inspections), Copesan (commercial national accounts pest management), Furniture Medic (cabinet and furniture repair), Merry Maids (residential cleaning), ServiceMaster Clean (janitorial), ServiceMaster Restore (disaster restoration), Terminix (termite and pest control) and Terminix Commercial (commercial termite and pest control). The company is headquartered in Memphis, Tenn. Go to servicemaster.com for more information about ServiceMaster or follow the company at twitter.com/ServiceMaster or Facebook.com/ServiceMaster.